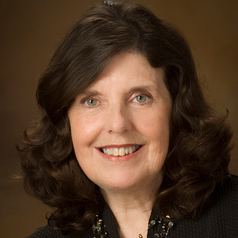 Jean B. Crockett, Ph.D., is a Professor in the School of Special Education, School Psychology, and Early Childhood Studies at the University of Florida. She earned her doctorate in Special Education from the University of Virginia, and previously served as a teacher, building principal, and special education administrator in New York. Dr. Crockett’s research addresses legal issues and leadership practices that foster effective instruction for students with disabilities, as well as issues at the intersection of special education and arts education for children and youth with disabilities. Her publications address conceptual, historical, and legal foundations of special education, and frameworks for leading special education in contemporary schools. She has published five books, in addition to multiple book chapters and articles in peer reviewed journals. She is a past-president of the Division for Research of the Council for Exceptional Children, and serves on seven editorial boards for peer reviewed journals. She is an associate editor for the Journal of Special Education Leadership, and the special education editor for the Journal of Law and Education.